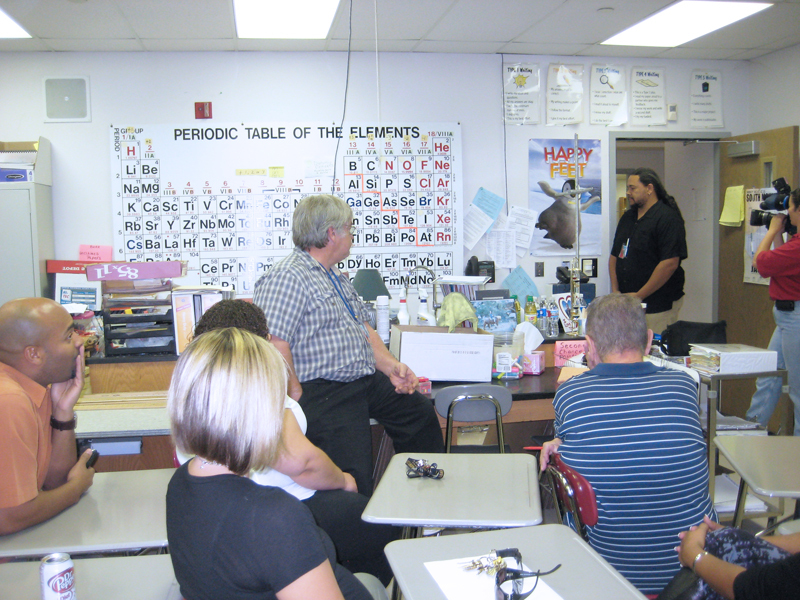 He teaches astronomy and science at South Mountain High School in Phoenix. 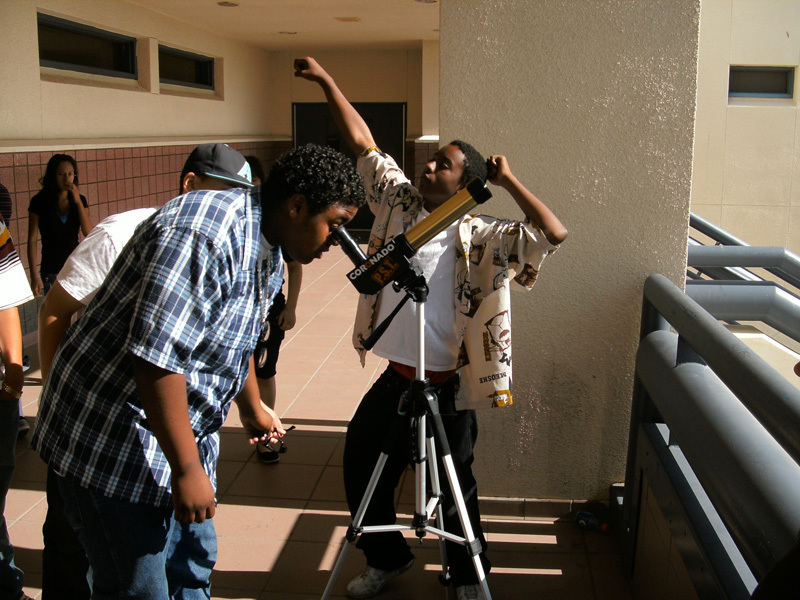 Milton Johnson requested $10,000 to purchase telescopes and related equipment for his Astronomy Club where he shares his passion for stargazing with his students. 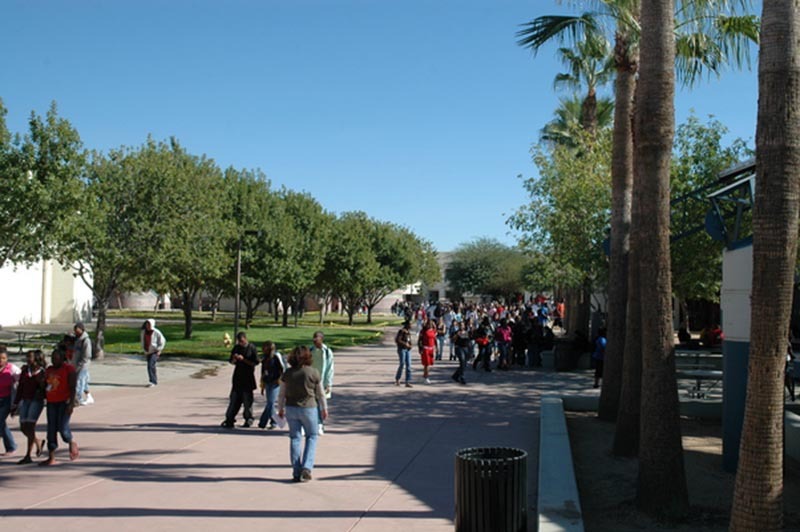 South Mountain High School is what many people would refer to as an “inner city” school. Many of the students are the first high school graduates in their families. 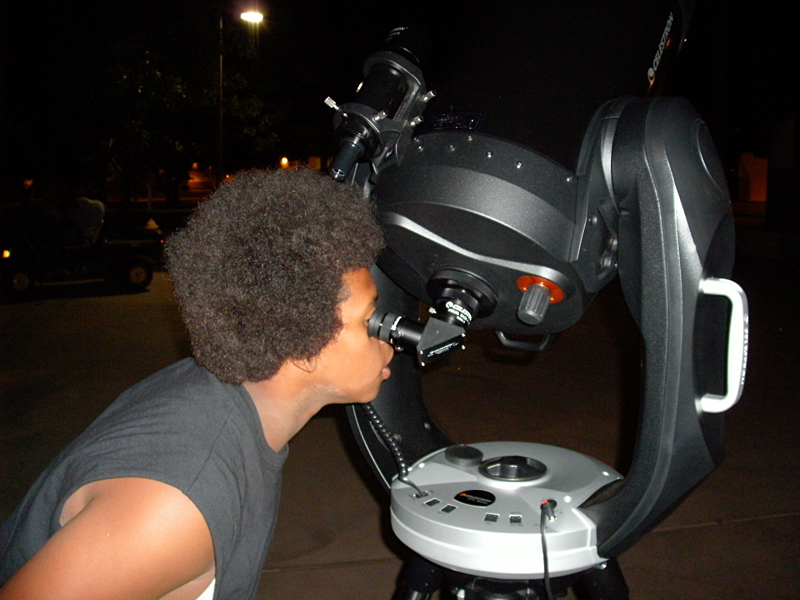 Milton plans to host Astronomy Open House nights at his school, as well as other nearby schools, and parks to allow the community to stargaze first hand and not just see it on TV. By training students to act as guides, all members of the community will be invited to learn and experience stargazing firsthand. This program will benefit hundreds of students and their families. 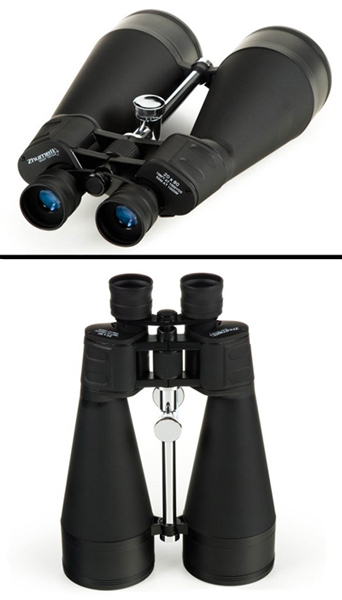 He will be purchasing two 10-inch telescopes (with lenses, filters and power adapters), a telescope camera, five sets of binoculars, three mySky devices (handheld computerized star finders) and a laptop computer (for image processing of pictures). Milton also notes that 2009 is the International Year of Astronomy and the 400th anniversary of Galileo’s astronomical telescope. His efforts fit into the larger international effort to increase astronomical awareness in our society. Here are some pictures from tonight's public debut. It went very well. I really enjoyed it. When I originally wrote the grant proposal to you this is what I had in mind. Tonight, I felt like my dream was realized. But at the same time it was a great learning experience. We had a lot of challenges to overcome. Not all my helpers showed, so I was understaffed. When the crowds came I was very busy. I wasn't able to take as many pictures as I would have liked. I would eventually like to videotape some of the sessions. Pictures don't quite catch the enthusiasm and magic of the moment. We parked right outside the auditorium while a dance performance went on inside. People looked through the telescope as they came and went to the event. At intermission we were swamped. We had viewers for about an hour and a half. I was great seeing the students so excited. We stayed fixed on Saturn most of the time. But that was enough. 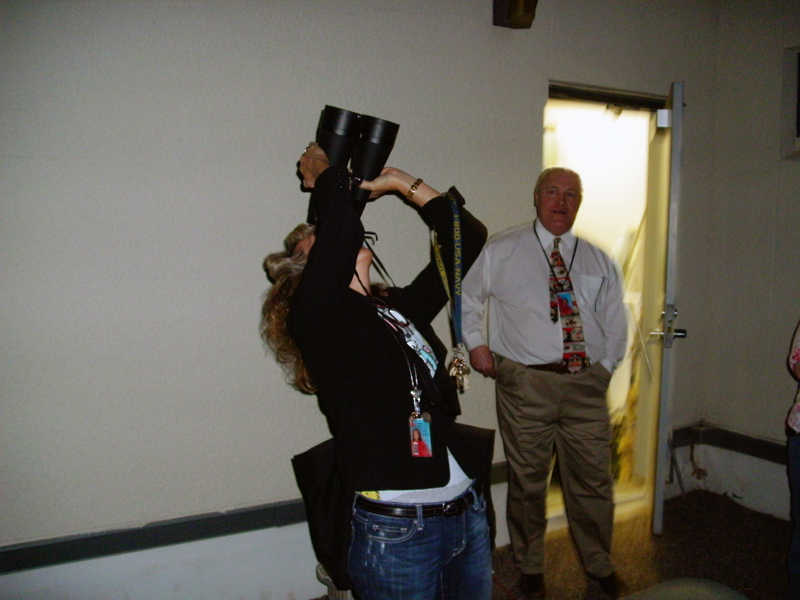 The oohs and aahs and gasps came right on que as the person looked into the telescope- kids and adults alike. It was great to hear kids calling their friends over to come and see. One student even got on his cell phone and called his friends to come to school just to see Saturn. It was a very cool experience. Can't wait for the next one. Thanks again so much for your support. It has been very exciting. But we are just beginning." It looks like the "South Mountain Astronomy Club" is already in business. 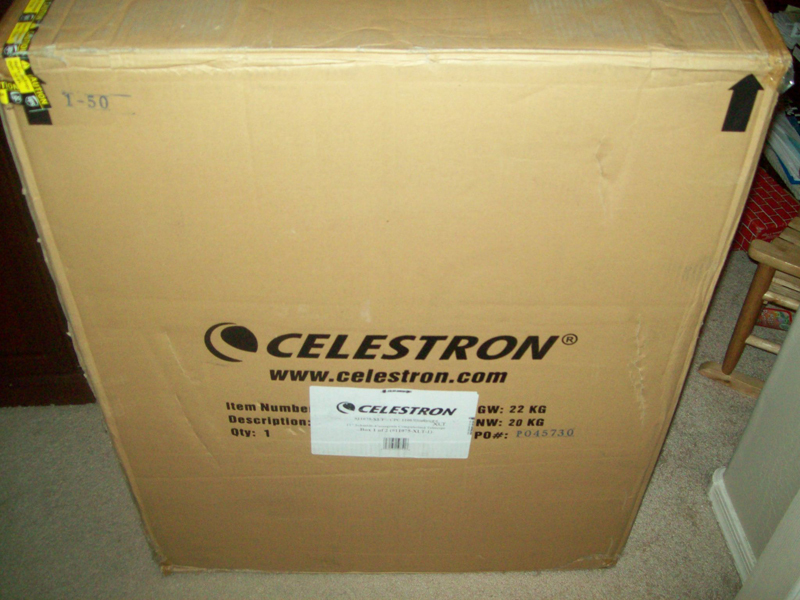 That's the new name they are giving to the club and Milton says they are already using the new equipment. 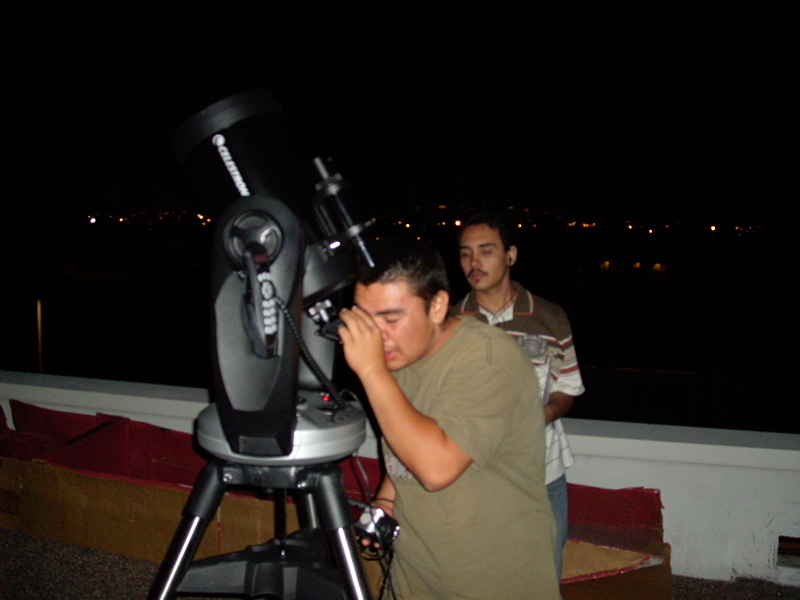 He and some of his students met at the school last night to try out the new telescope and were surprised to have some other teachers join them. He said it was a great experience to use such state of the art equipment. 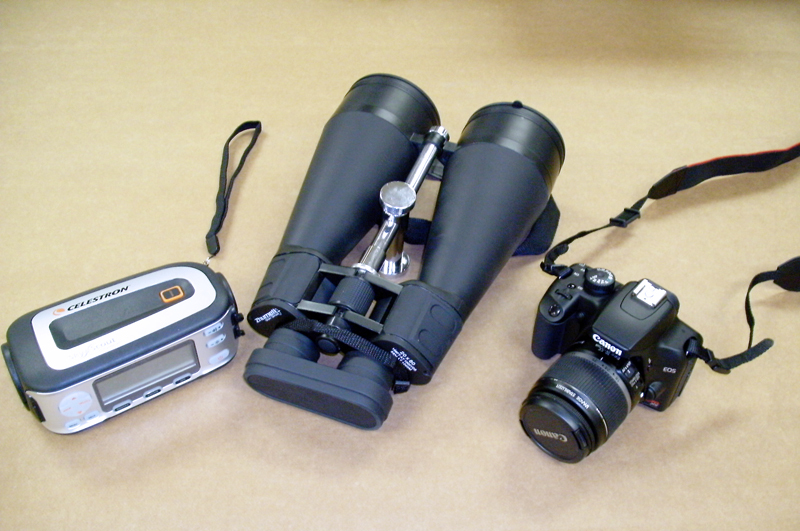 The students used the new binoculars and the Sky Scouts (hand held GPS instruments which direct you to objects and explain them to you) while Milton set up the telescope. "Our first look through the telescope was at Saturn," said Milton. "Beautiful! We could also make out some of the moons of Saturn, as well as the rings. Next we went to the moon and saw the craters up close and personal. Amazing! 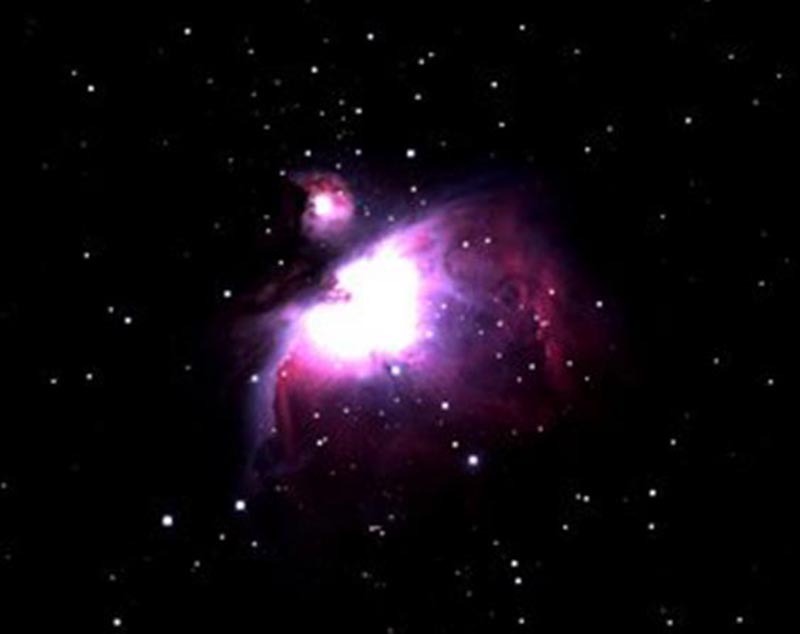 After that, we saw the Orion Nebula, a galaxy and various star clusters. We had a great time." By the way, last night was the beginning of the "100 Hours of Astronomy," a global event through the International Year of Astronomy that runs from Thursday through Sunday. So this was good timing. Now that the students are familiar with the new equipment, their next event will be to piggyback off a night time dance performance at the school and make their public debut. 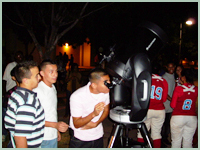 They plan to set up outside the auditorium so that everyone in attendance can come by and see the heavens. "Hello Jenny, just wanted to drop you a note to say THANKS! 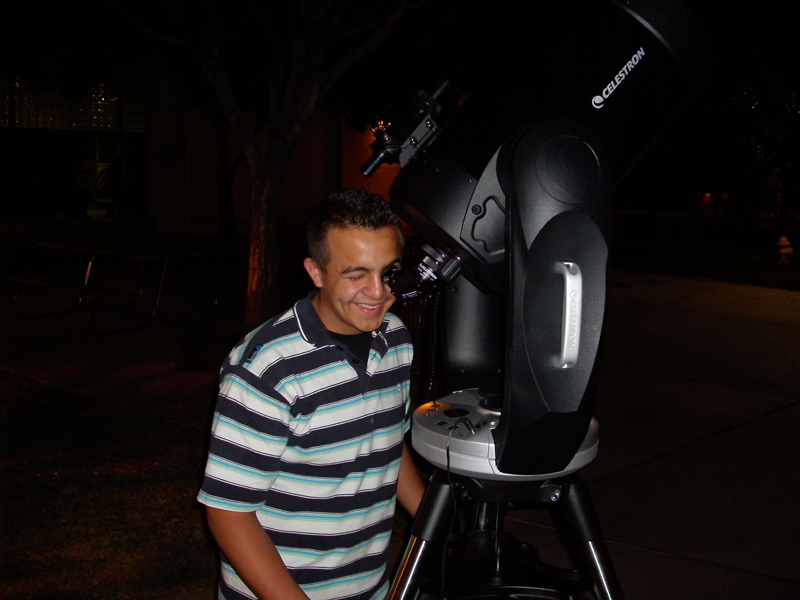 You made my son's dream come true last week when you awarded him $10,000 to buy equipment for his students to explore the heavens thru astronomy. As I read through the stories of the other Jenny's Heroes, I have to say I really admire you for your generosity and your vision to make a difference in so many lives." "I would also like to let you know that this is the second time you have touched my family. On April 5, 1996 you aired a show featuring Heroes. My older daughter battled leukemia and an anonymous donor saved her life. Joe Lucas donated bone marrow to my daughter Tracy vanRyswyk and you featured the two of them on your show. Now, 13 years later, Tracy is healthy, married and the adoptive mother of two young boys. She and Joe still keep in touch. Thank you and God bless you." 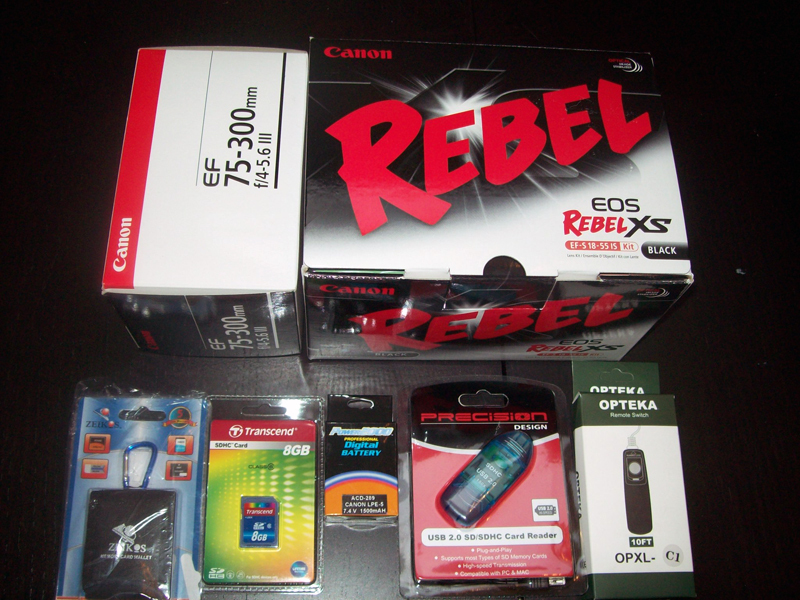 Milton sent us some pictures of the items he's received thus far. 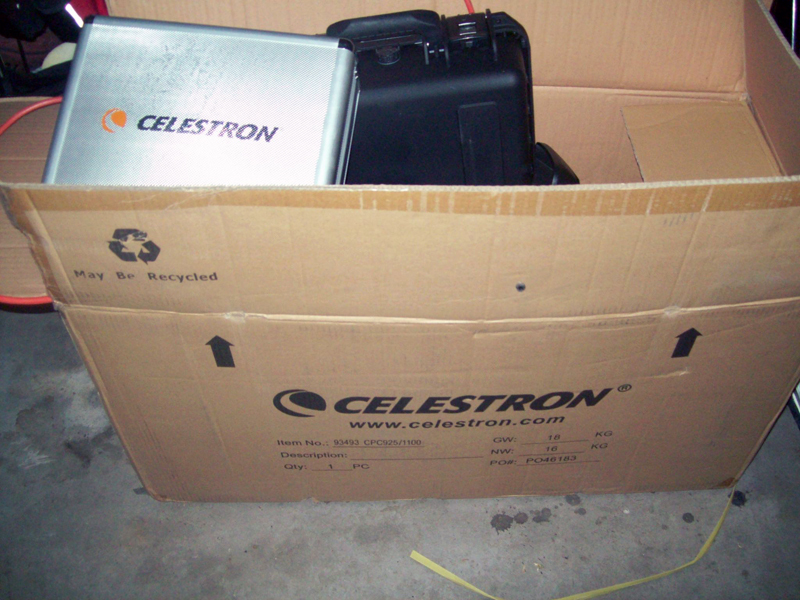 A Celestron 11" telescope with tripod (2 boxes/2 pictures), an HP laptop computer, and a Canon Rebel digital camera & accessories. 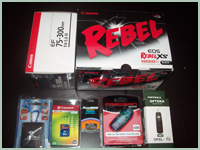 Most of the pictures are of the boxes but he promises to send more detailed photos soon. Milton drove into Tucson on Saturday to pick up his first telescope and says it's awesome - even better than he imagined. I heard from Milton today who said, "Jenny, I can't tell you how great it was to get a call from you today. I was totally surprised to walk in the room and see everyone there, including my family. I was on cloud nine the rest of the day. What a rush!! I was overwhelmed by all the media as well. I must commend Pat Burr on the great job she did of keeping it a secret. 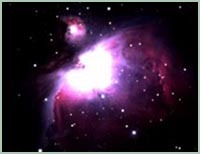 Thank you so much for awarding the grant for the telescopes. This is a dream come true for me and my students. They were so excited to be there today. They have been instrumental in helping me plan this. We can't wait to get started." Milton walked in to what was supposed to be a short meeting of the science department in fellow teacher Pat Burr's office but when he got there, he realized it was more than just a short meeting. His mother Krista was there, along with his wife, Yvette, and sons Bishop (age 4) and Dexter (age 2). He also saw members of the press and heard my voice on the speaker phone saying, "Hi Milton, it's Jenny Jones calling from California. Congratulations on your $10,000 grant!" Then I heard some applause and cheering. What a fun "meeting" this turned out to be. Pat told me they brought in pizza and cake to celebrate. The school principal, Alvin Watson, was there and even some of Milton's students. I asked them to tell me about their teacher. Carlos, who's 17, said, "He's a great teacher and a great person, plus I like his dreads." Eighteen-year-old Elyssia said he was her favorite teacher, and 17-year-old Ashley likes his sense of humor. Milton told me his passion came from his father. 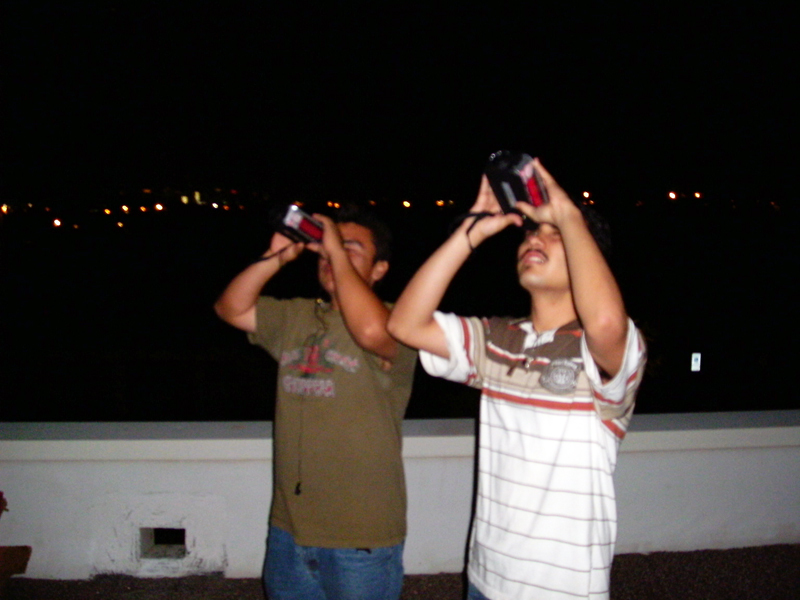 They used to look at the stars together and his dad would point things out, even though he was not an astronomer. "The sky is fascinating," said Milton. I have a feeling that fascination will be shared by his sons in the future. 03/03/09: Jenny wrote... "Milton, bringing something as big as the sky to these kids will surely help them dream bigger dreams. Congratulations." 03/03/09: Damon wrote... "Congratulations, Milton. 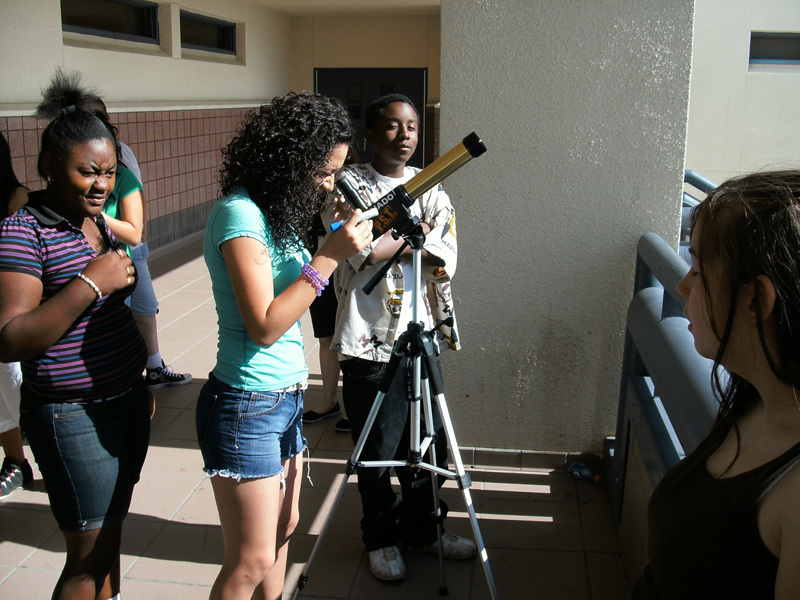 It must be a thrill for your students to learn about the universe, and they are lucky to have such a passionate teacher." 03/04/09: Mom wrote... "How wonderful that Jenny Jones has helped you to realize your dream of sharing your love of the heavens with your students and the community! You have always had the heart to help and inspire others; now you'll have the means to do that in a mighty big way! LoveYa!" 03/04/09: Mary Harthun wrote... "Hi, Milt. You were featured on the Channel 12 news at 6 p.m. and I wanted to congratulate you for the award you won. 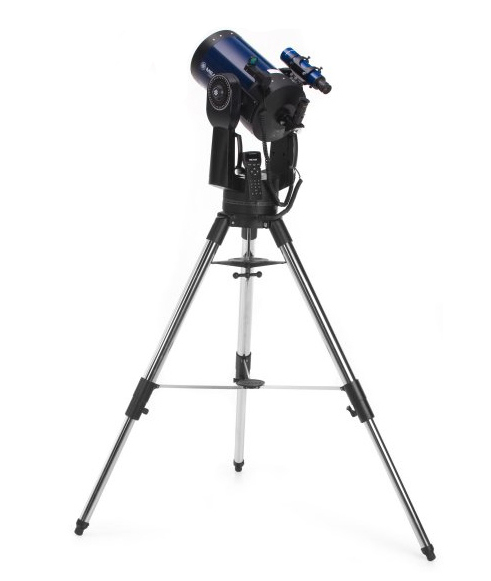 It sounds like you’re going to be able to purchase some equipment for your classroom so you and your students can look at the stars any time you want to! 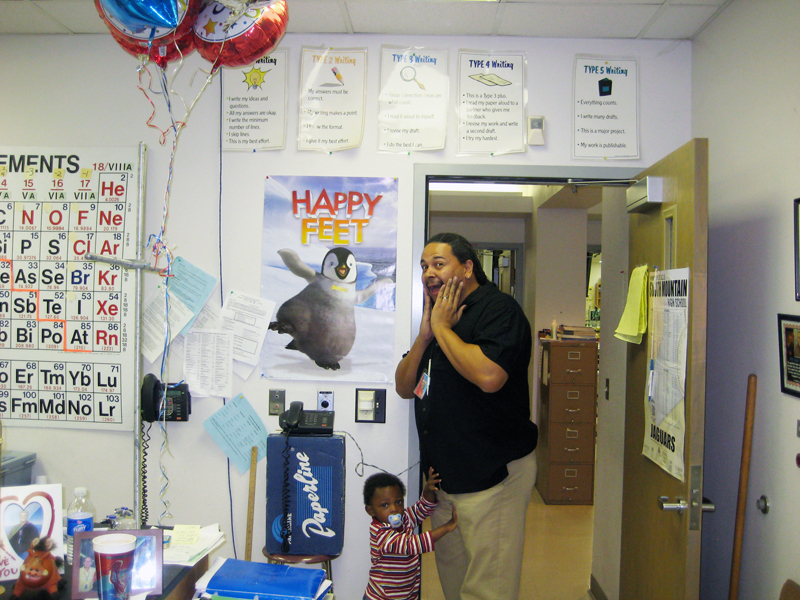 :-) You are a star, Milt, and your students are very fortunate to have you for their teacher. Keep up the good work." 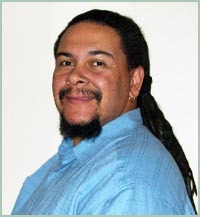 03/04/09: Russ Shaffer wrote... "Hi, I have known Milt Johnson for at least 10 years through teaching physics in our high school district and various ASU classes in modeling physics that we took together. He is a great guy and I am very proud of him for taking the time to do this proposal and foresee how beneficial this astronomy project would be to the school and community. He truly is an outstanding teacher and mentor!" 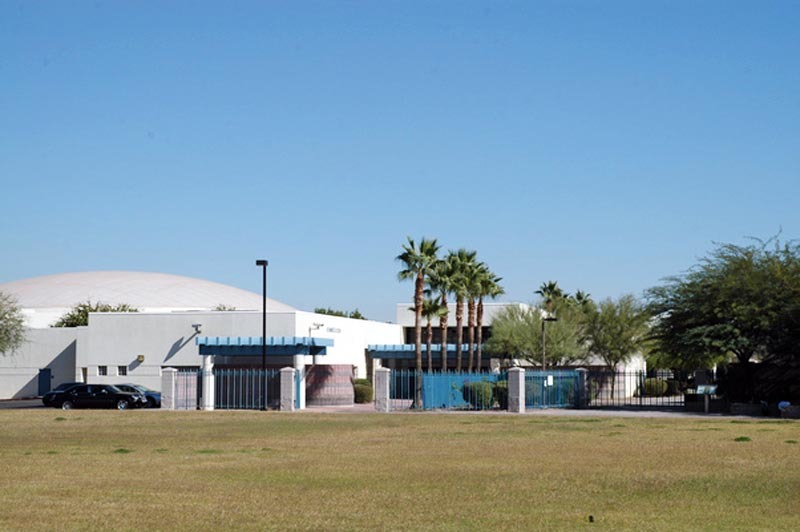 03/04/09: Cindy Errickson wrote... "Milton, what you are doing for the students and community of South Phoenix is wonderful. The new equipment will make such a difference. Thanks for making astronomy so interesting and fun! Keep up the great work!" 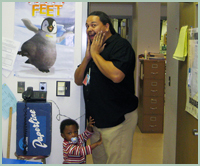 03/04/09: Karen Moody wrote... "Congratulations to you Milt for offering your community this wonderful experience to participate in the open house nights. The opportunity you are giving them for an education and positive support will make a difference – you are indeed an everyday hero and an inspiration." 03/07/09: Terri O. wrote... "Hi Milton, I so admire your enthusiasm for astronomy! What a wonderful gift you are to your whole community. I wish you continued success!" 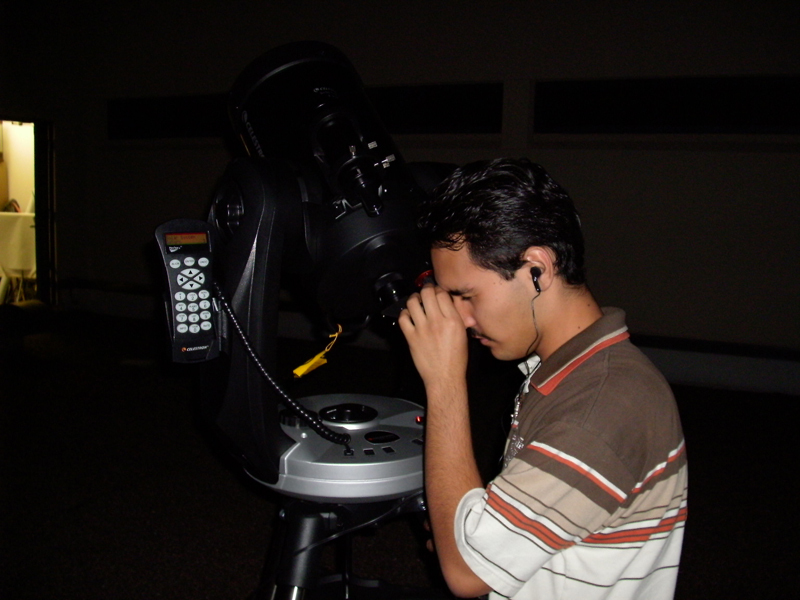 I love what you love ( Astronomy) and always have! Your uncle always pointed things out to me at the lake and it always made the night time so much fun! Congrats. on your achievement! You must feel a great sense of being, being part of the big picture, God bless you always." 03/18/09: Adrienne Errickson wrote... "Milton, Such a pleasant surprise for such a great person. I'm so glad to read of your accomplishments and especially this latest one. 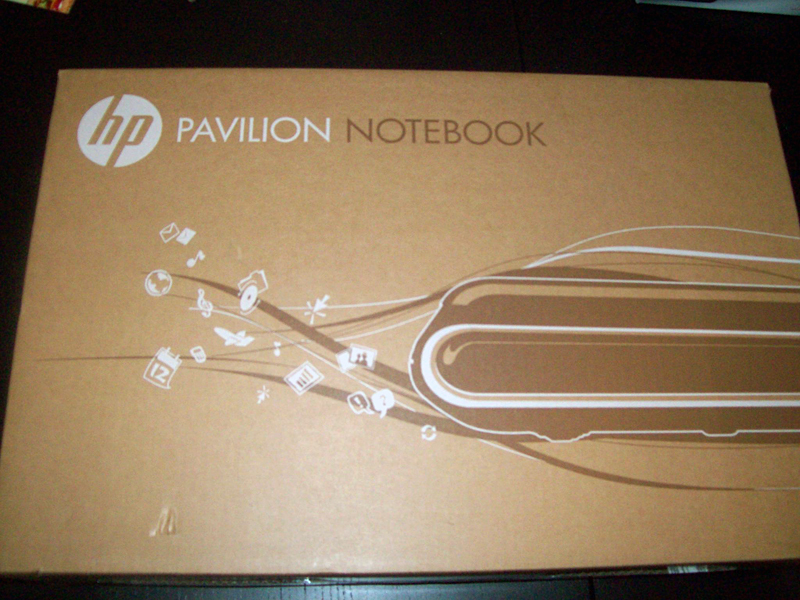 You were so studious and inquisitvie in your younger years, but who knew how far in life that would take you. Congratulations!" 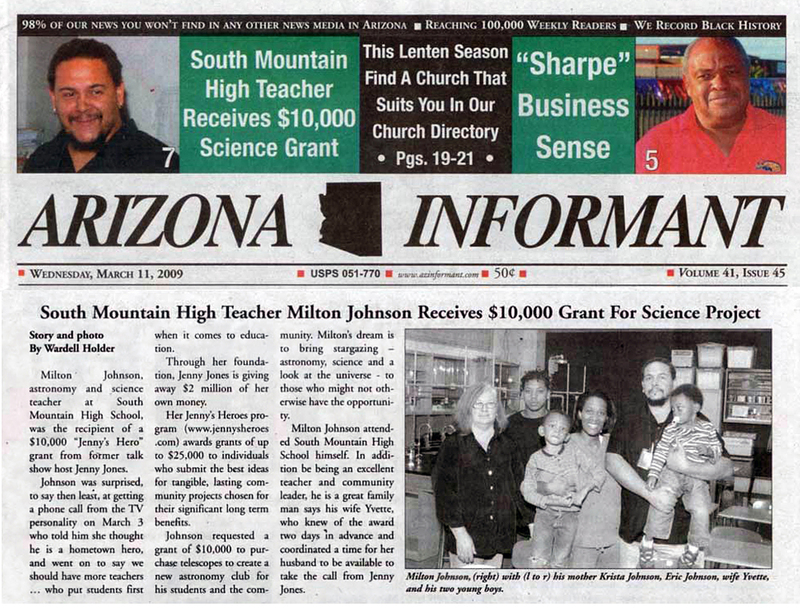 04/23/09: John Nelson wrote... "Hi Milt, Great job getting the grant. 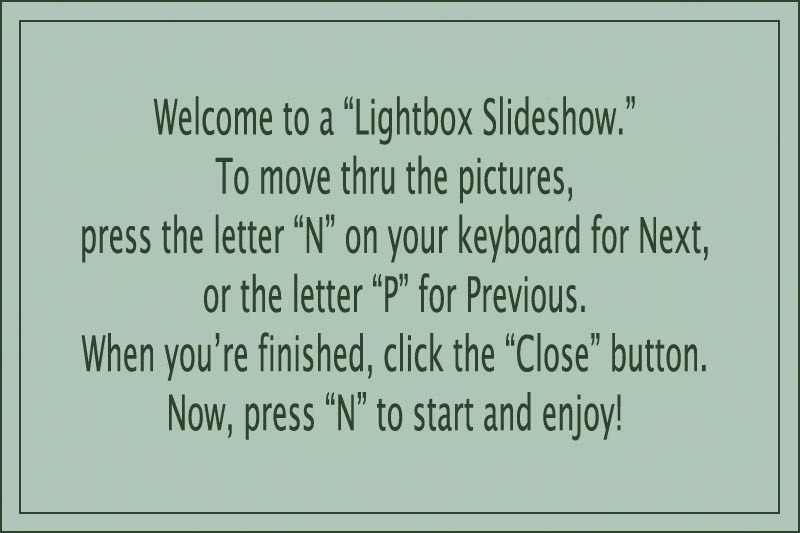 What an amazing way to expand the thinking and lives of your students! South Mountain High School is lucky to have you on staff. Keep it up!" 04/30/09: Nate Cahill wrote... "Milt, Congratulations! I am always proud to say that I was a student in your rookie year physics class at SMHS. 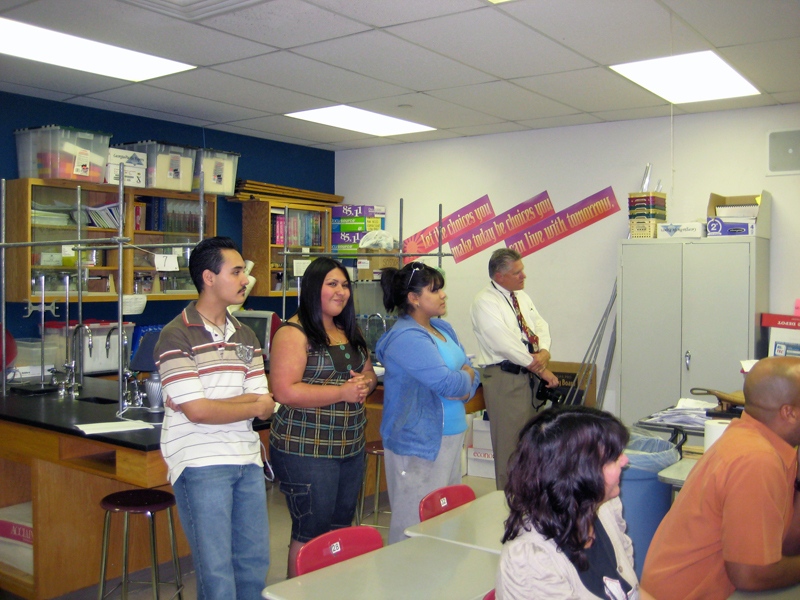 You had a passion for teaching these things then which made an impact on me and it is obvious that it continues to make an impact on young people today. Way to go!"